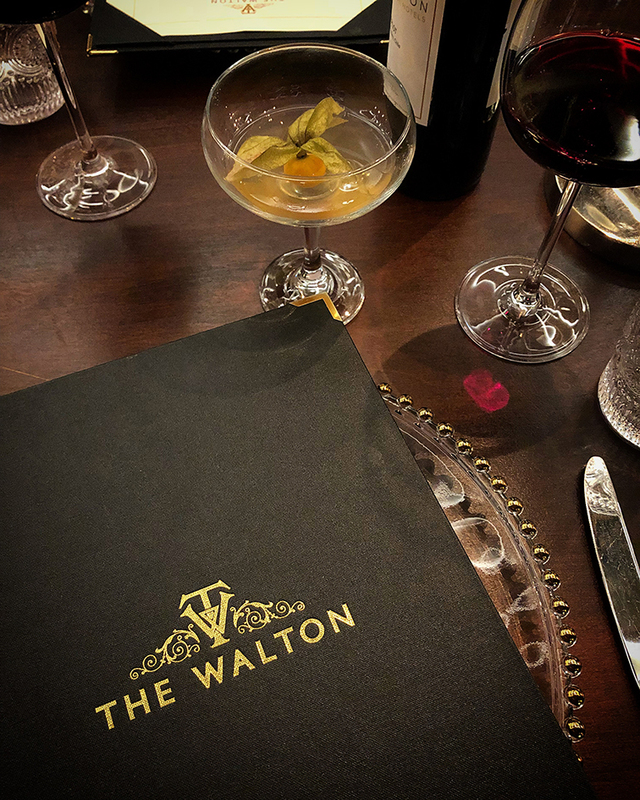 THE WALTON NOTTINGHAM RESTAURANT REVIEW - Sugar, Darling? Beautiful old buildings and good food are in my opinion two of the greatest pleasures in life, so when those two collide (only half an hour's drive from my house no less) I am just ecstatic. 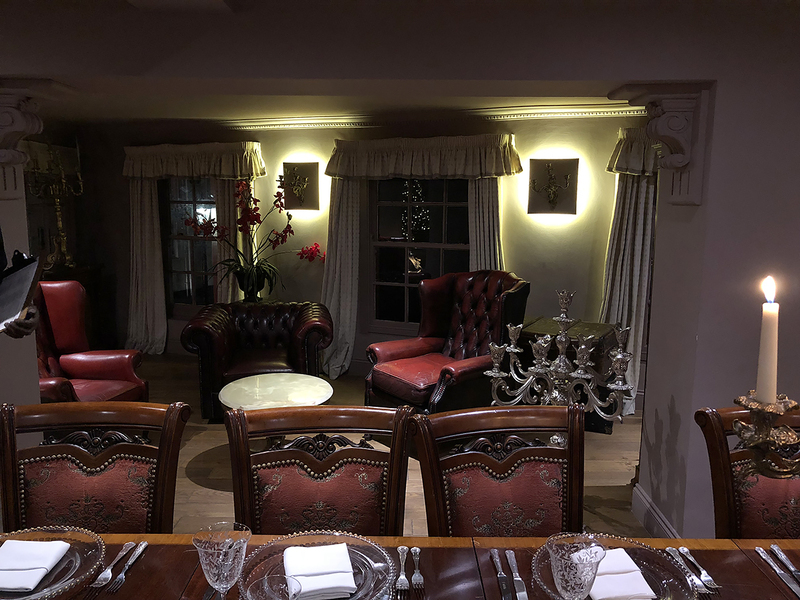 I was very kindly invited along to The Walton in the beautiful Park area of Nottingham to sample their Winter Tasting Menu and take a look at the work that has gone on following the extensive renovation works that the current owner has undertaken. 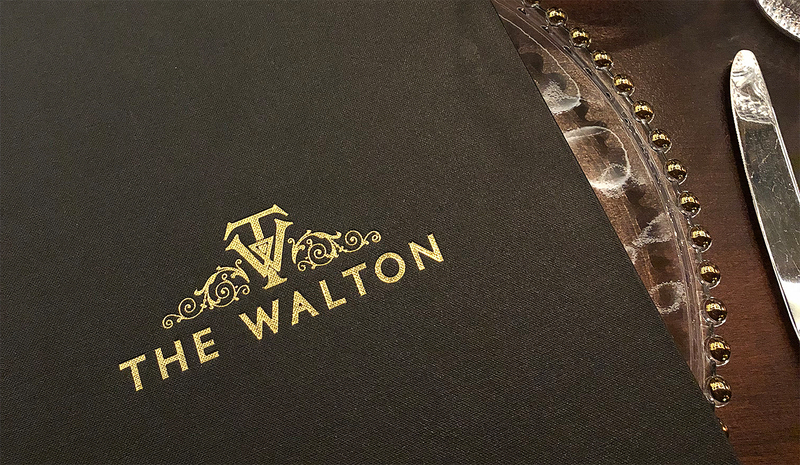 The Walton was originally built in the 1800's as a hunting lodge and thankfully many of the original features have been maintained in what I must say is one of the most impressive restorations I have seen in a long long time. 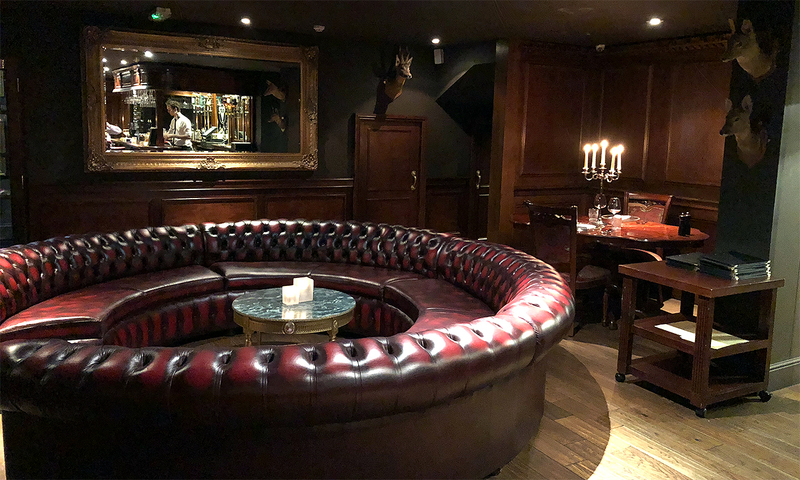 Honestly this is the kind of place I would happily spend all my time, the feeling of warmth and cosiness is unreal and as I feel my most at home amongst antiques, dark woods, leather armchairs, and old paintings it really is an absolute dream of a venue. 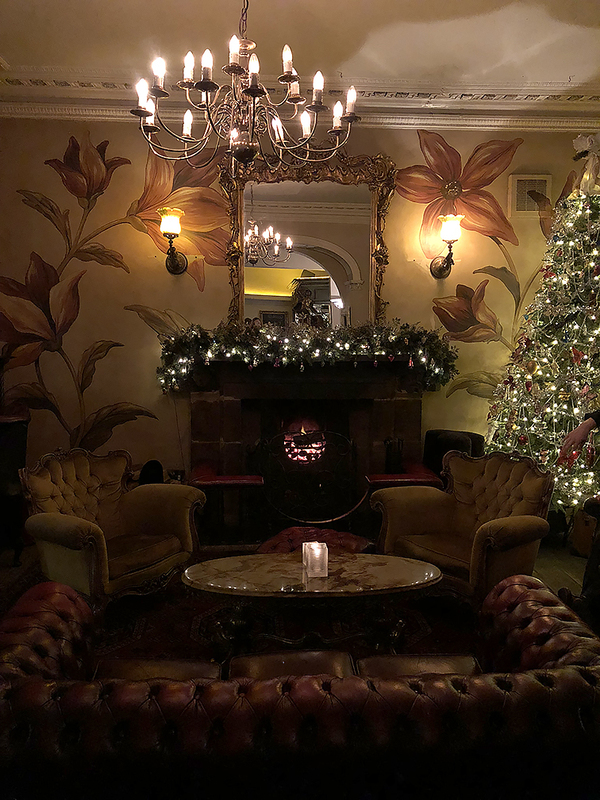 I adore the maze of different rooms surrounding the bar, each with clusters of chairs around open fires and beautifully decorated walls, two painted with murals one of huge flowers and the other with monkeys and plants. 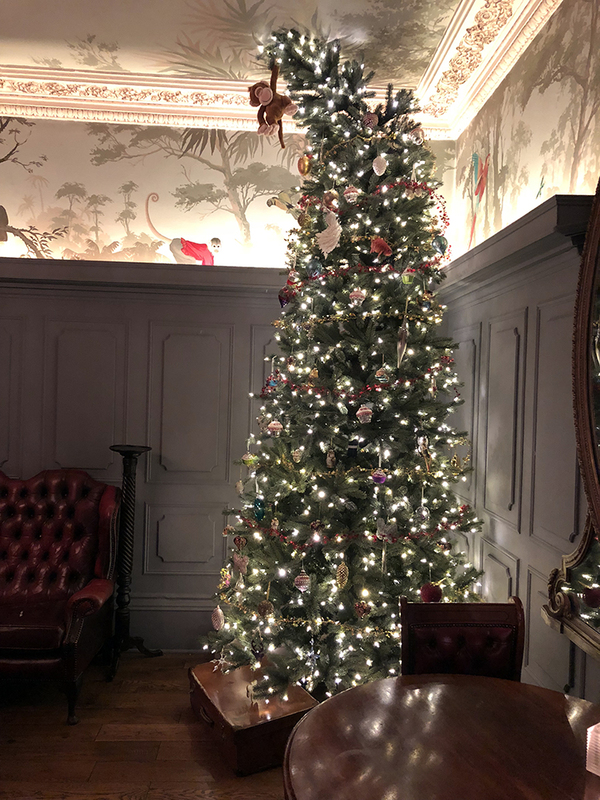 It was looking even more spectacular all decked for Christmas with decorated trees and beautiful twinkling lights in every room. Can you tell that I loved it yet? 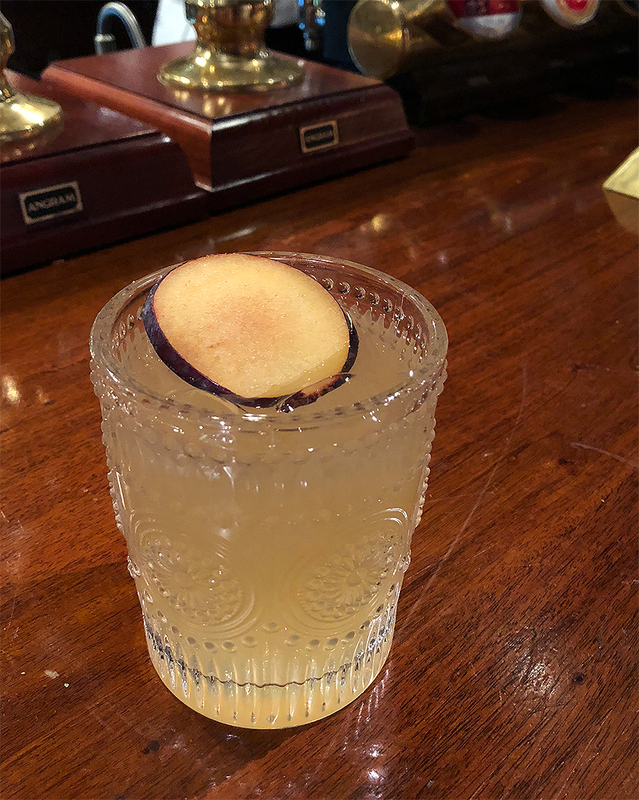 We were given a lovely tour of the bar, restaurant and some of the hotel rooms by a wonderful gentleman who called me Miss Sugar - can this be my new name please? 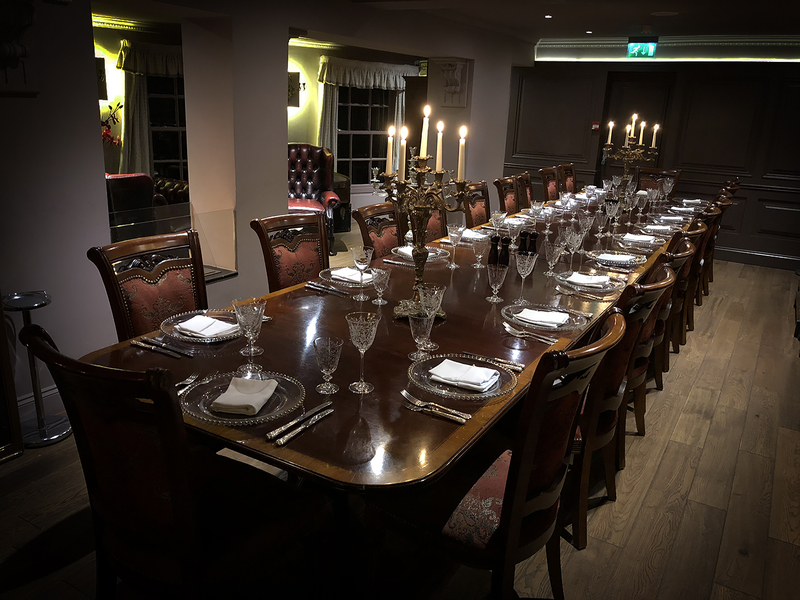 He told us a little history of the building and some of the beautiful pieces that have been brought into the hotel such as a stunning carved fireplace in the main restaurant and the gorgeous lit fountain on the terrace which was acquired just before it's original home was listed. We began our meal with a glass of The Walton Merlot, a lovely medium bodied red wine from Chile. 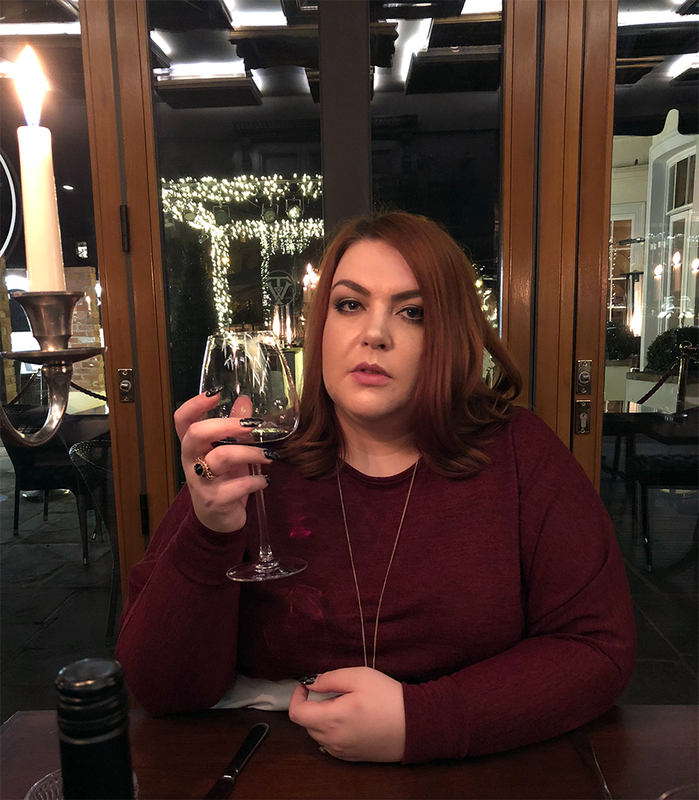 I'm not at all a white wine person but I adore a nice glass of red and this was so drinkable with perfectly balanced fruitiness and not too much body making it perfect as a meal accompaniment as it won't overpower many flavours. For the first course Pete chose the wild mushroom, spinach and butternut squash tartlet. 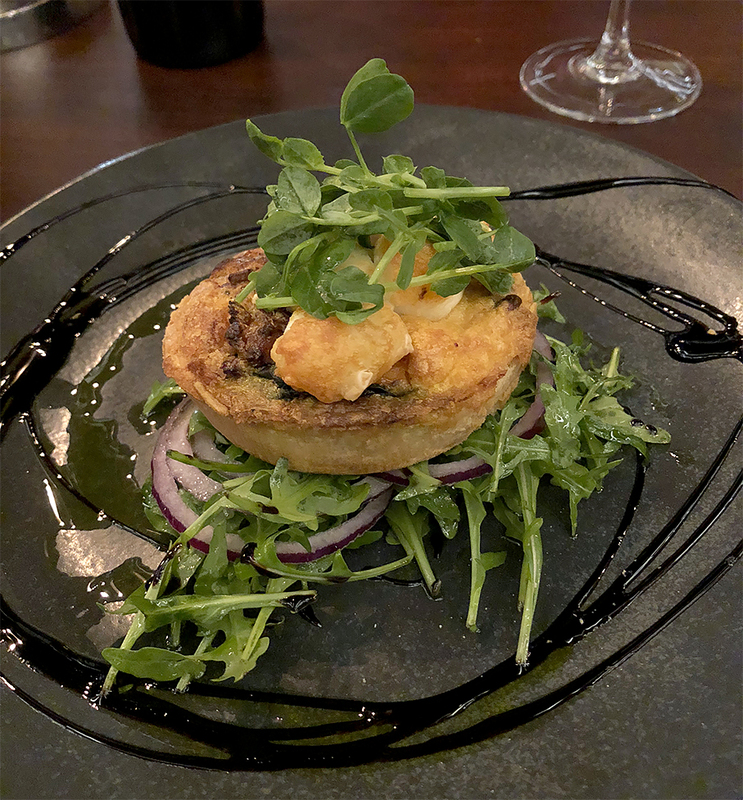 This was beautifully presented topped with crumbles of sharp and creamy goats cheese, rocket leaves and a little red onion that countered the richness of the luxurious vegetables and buttery pastry. A goats cheese tartlet is something often seen as a vegetarian option but few are done very well and trust me, this was a true delight - not too heavy but not whipped and airy, a perfect starter. As for me I chose the pan seared king scallops served with cauliflower beignets and puree, black pudding crumbs, micro greens and pan jus. Now I like to think of myself as a bit of a scallop connoisseur as I have them as often as I can and let me tell you, this is one of the very best scallop dishes I have ever had. All of these flavours are rich and luxurious, yet the textures here combined into something really magical. 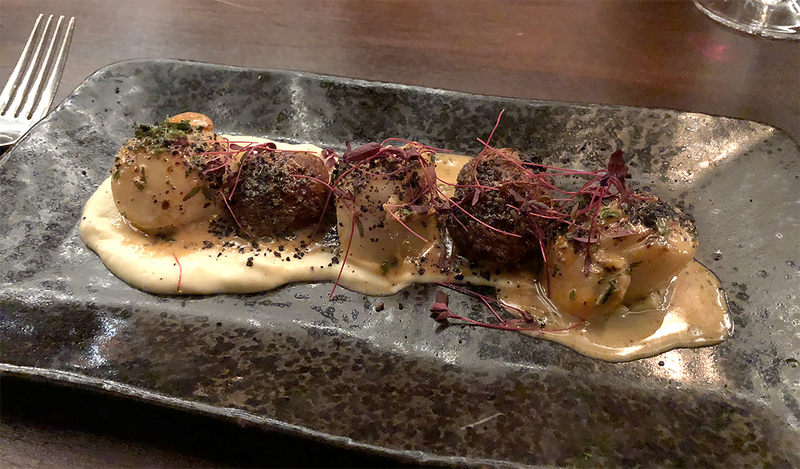 The sweetly tender scallops, creamy unctuous cauliflower puree and pan jus and crisp little bites of black pudding and crisp yet airy beignet all came together into a truly perfect mouthful and I would be happy eating this every day for the rest of my life. Then on to the main course! I just couldn't resist the pan fried fillet of seabass served atop king prawn, crayfish and crushed pea risotto. Firstly let me say that I have never had such a generously served seafood plate in all my life which sometimes makes you wonder if this is to make up for a sub-par dish, but this was most definitely not the case here. 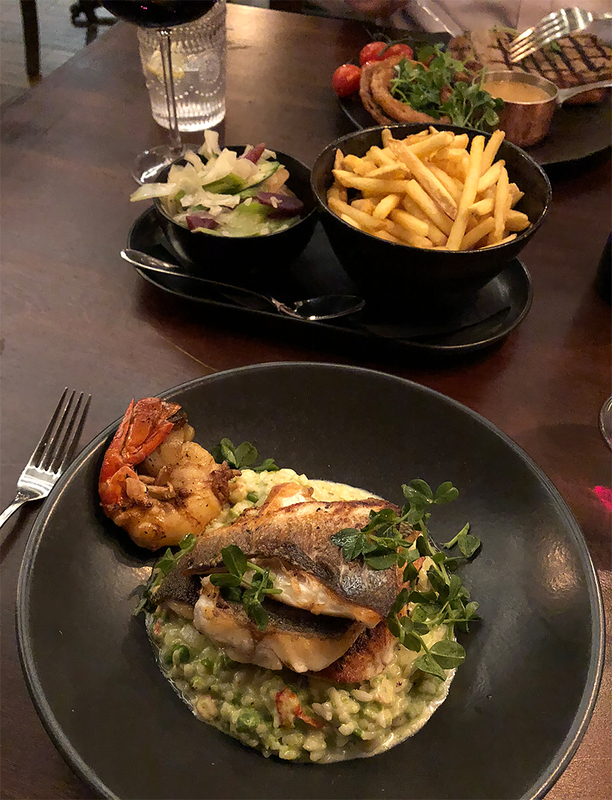 The two lovely big fillets of seabass were cooked to absolute perfection with crisp skin and tender, moist white flesh that was perfectly seasoned. Nestled next to the fillets was a perfectly plump king prawn that had again been griddled and seasoned wonderfully to let the taste of the prawn sing out - I don't think I've eaten such a meaty, fat prawn before! The risotto that lay under the fish again was just lovely, creamy and full of fresh crushed peas and crayfish tails. 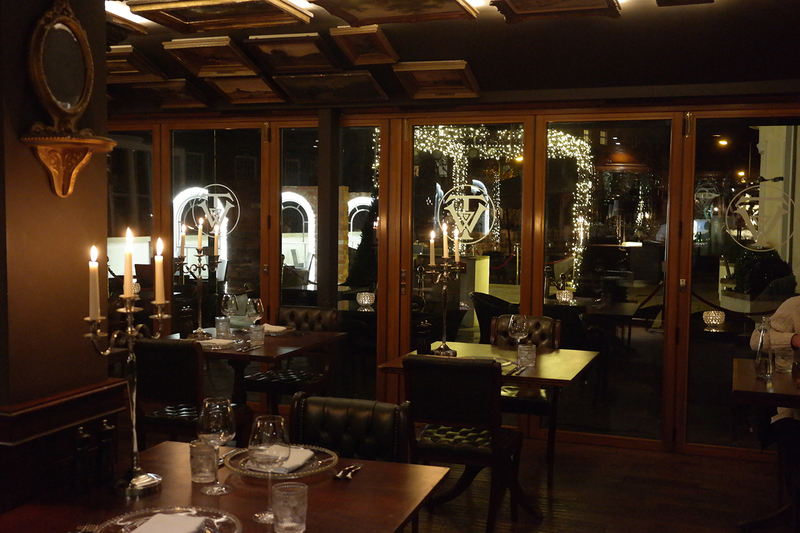 It could easily have been far too much under the lavish seafood but the texture and blend of flavours were the ideal accompaniment. I was just sad that I couldn't eat it all especially alongside the lightly buttered seasonal vegetables that were sublimely seasoned and cooked. 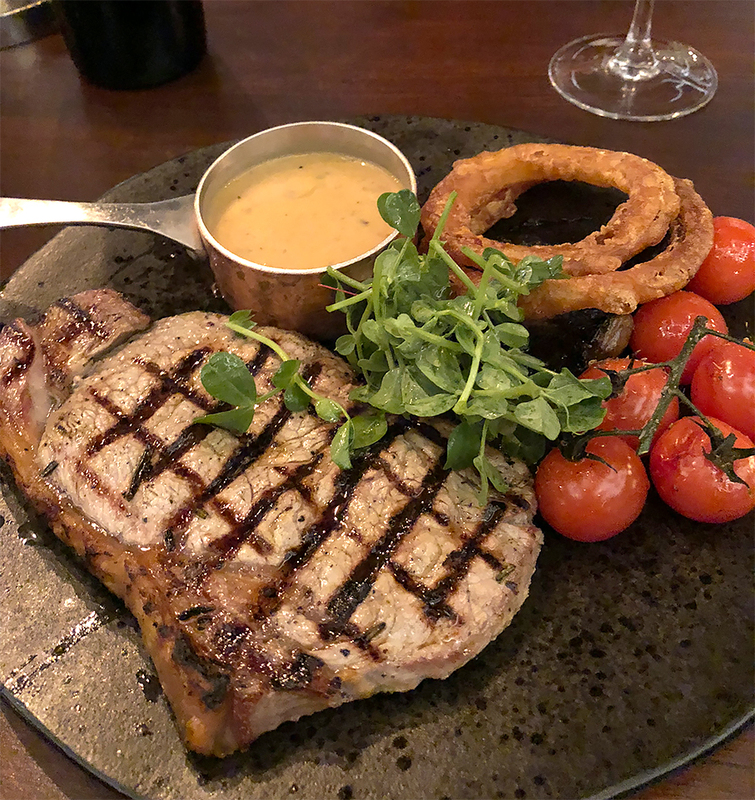 Pete chose the 28 day matured Derbyshire centre cut sirloin steak that was served with fries, onion rings, slow roasted vine tomatoes, a griddled field mushroom and a little pan of peppercorn sauce. There was also a little bunch of watercress atop the steak - I do love watercress and steak its such a heavenly combination. He requested the steak cooked rare and it came out just so with flavour giving griddle marks and a juicy, delicate texture. The quality of the meat was very apparent and it was gone within the blink of an eye! The fries and onion rings were golden, crisp and clean tasting and the sauce was deliciously decadent alongside the vegetables. 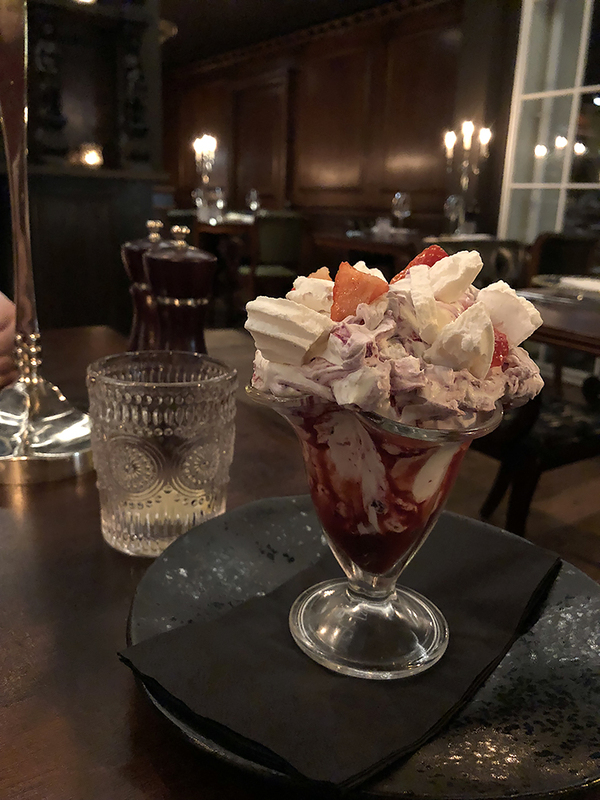 In all honesty I wasn't certain that I could eat a whole dessert but I do love a classic eaton mess made with berry compote, crushed meringues and creme chantilly. Unsurprisingly this one was immaculately constructed with each ingredient added in the perfect quantity against the other. The berries were tart yet sweet against the rich chantilly cream and crisp sugary meringue. A true classic done exceptionally well. Pete went for the double chocolate fudge nut brownie served with warm chocolate sauce and vanilla ice cream - sadly I didn't get a good picture of this (possibly because it was hoovered up so quickly) but believe me this was one of the best brownies ever and I am one fussy lady when it comes to this choccy treat. 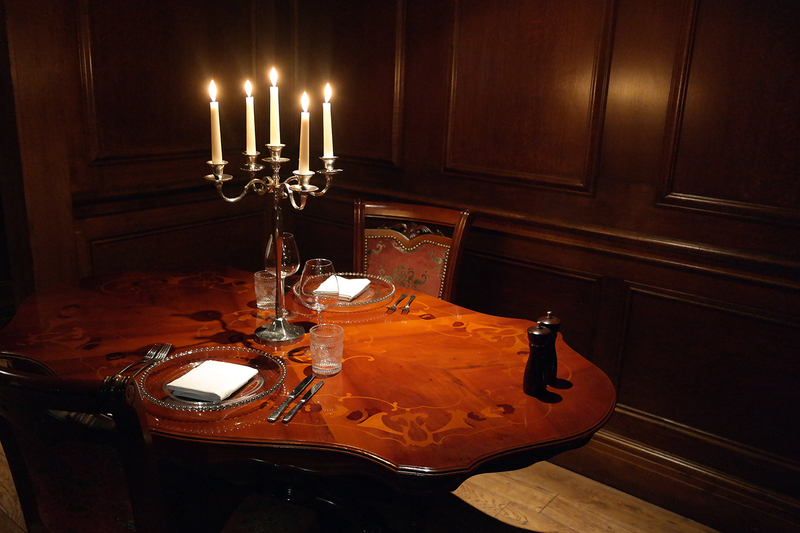 In all honesty this was the best meal I've eaten in Nottingham for years and it was only made better by the truly stunning, warm and friendly surroundings. 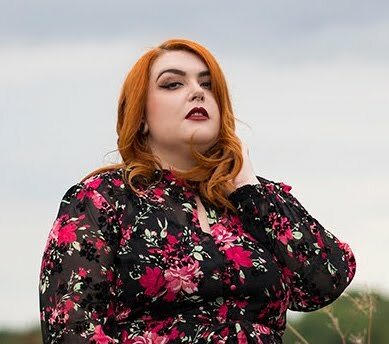 I'm hoping that we'll be spending the night at the hotel soon in which case I'll be filming a blog and showing you more of this gorgeous place, but in the mean time I highly highly highly recommend you make a visit as soon as you possibly can! * This meal was complimentary, however all opinions are 100% honest and my own. For more information head to my disclaimer page.